Halloween is about children, costumes, trick-or-treating, classroom dress-up parties, pumpkin carving, hayrides, and haunted houses. In just a few weeks approximately 40 million children will be out trick-or-treating. For parents it’s a balance between having fun and being safe. 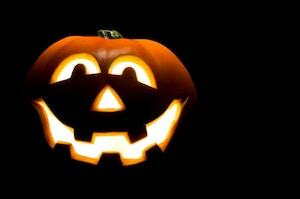 Only 1/3 of parents talk to their kids annually about Halloween safety. On average, twice as many child pedestrians are killed while walking on Halloween compared to other days of the year. Only 18% of parents use reflective tape on their children’s Halloween costumes. 12% of children five years of age or younger are permitted to trick-or-treat alone. Halloween is ranked as the number one day of the year for child-pedestrian accident and fatalities according to data from the National Highway Traffic Safety Administration’s Fatality Analysis Reporting System. According to Alcohol Monitoring Systems, if Halloween falls on a Saturday, drinking violations skyrocket by 4.5 times compared with the average increase when Halloween falls on any other day of the week. There are many things for parents to take into consideration for Halloween night like supervision, stranger danger, lighting (outdoor, reflective tape and flashlights), tampered candy, accidental poisoning, food allergies, rationing candy, choking hazards, burns, pedestrian injuries, trip and falls, loose pets, pumpkin carving injuries and candle fires, costumer choice and prop dangers, not to mention car accidents and DUI drivers.